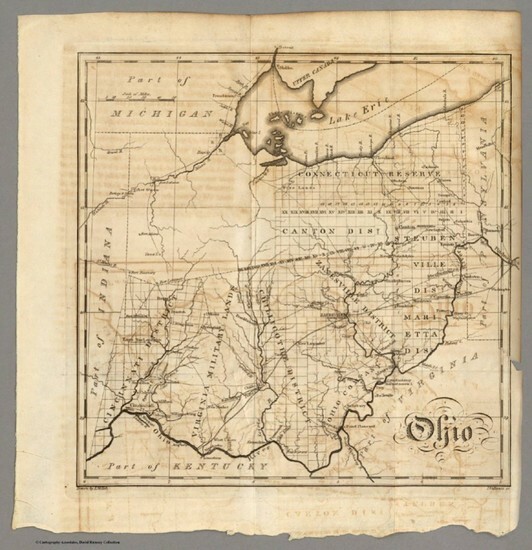 Map of Ohio c.1812. Image courtesy of the David Rumsey Map Collection. Founded in 1812, the city of Columbus was considered rural for the first 50 years of its existence. Following the U.S. Civil War, Columbus, along with the rest of the United States, experienced tremendous growth and rapid industrialization. By the 1890s, Columbus' population had almost quadrupled, and improvements in communication and rail transportation created a national marketplace that could be fed not only by agricultural products, but by the factory-produced goods made in the thriving city. Having a central location within the United States at the time, Columbus had the advantage of being a prime distribution and manufacturing center for these goods, and became known as the nation's buggy and shoe capital. Throughout much of the 19th century, up until the perfection of the sewing machine in the 1850s, clothing was predominantly custom-made to fit each customer's specific sizes. 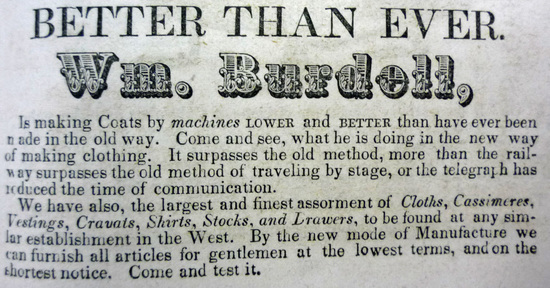 In the 1852 Columbus city directory, William Burdell, a merchant in the city, was one of the first to advertise this "new way" of making clothing by machine, comparing it to recent and improved means of transportation, the railway, and the latest means of communication, the telegraph. New technology, along with the development of men's sizing standards during the Civil War, which were a necessity for the mass production of military uniforms, helped the ready-made clothing manufacturing industry grow and prosper. 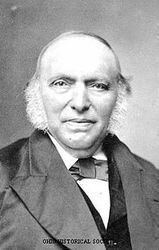 In Columbus, Simon Lazarus, who founded the S. Lazarus department store downtown in 1851, recognized that soldiers returning from the war would need civilian clothing. In order to capitalize on this demand and expand his business, he traveled to menswear manufacturers in Rochester, New York and purchased a better class of ready-made merchandise. The Lazarus store would go on to become one of the most successful and influential retailers in the Midwest, eventually merging with Macy's in 2003. Simon Lazarus (1807-1877). 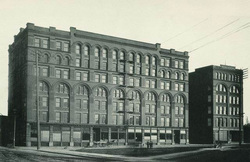 Image courtesy of the Ohio Historical Society. The Rosenberg Bros. factory in Rochester, NY where Simon Lazarus purchased ready-made merchandise. Image courtesy of the Rochester Public Library.